Q- How big is the Portsou? A – It’s about the size of a deck of card and was made to fit into most hands…even kids! Q – Does it weight a lot? A -Well it all depends; empty it weighs about the weight of box of candies. Q – How many coins does it hold? 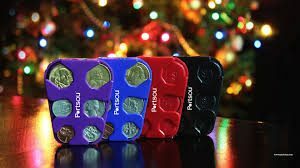 A – Each compartment holds a different amount of change due to the thickness of the coins, so about 2 large coins in each and 4 of the smaller coins. Q- What colours does it come with? Q- Does it hold paper money? 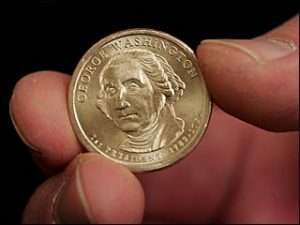 Q- I often go to the US, does it hold their coins? Q – What does Portsou mean? A – It’s kind of complicated…so click here to find out. Q – What’s the best way to use the Portsou? Q – What’s the best way to carry the Portsou? A – Everybody is different, some folks like to carry it in their pants pocket, some like in their shirt pocket, some like it their purse, some like to keep in the car ashtray, some like to store it in the glove compartment, some like to keep in their office, some in their backpack, some in …………. Q – What happens if I drop it? A – Well it all depends; dropped from a normal height (at the waist), it will survive the shock, even if it falls on concrete.